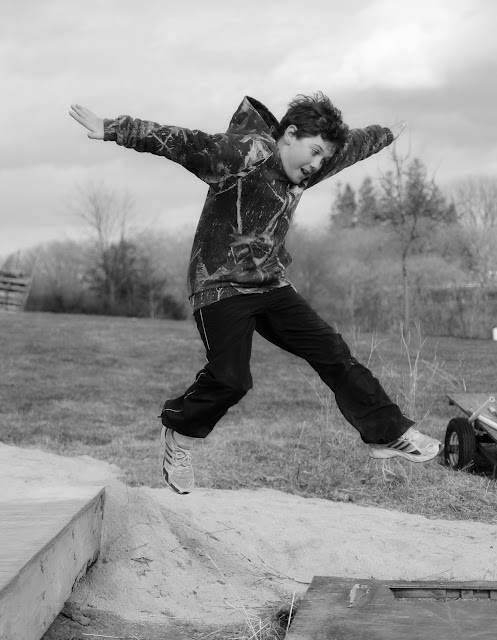 and the kids are jumping for joy! Who says white kids can't jump? I added some awesome Jump songs to my playlist for those who like to kick it old school. PS...I'm playing around with the monochrome setting on my camera to see if I like the black & white straight from the camera is better than those in photoshop. So far, I do, but these pictures are hard to judge. 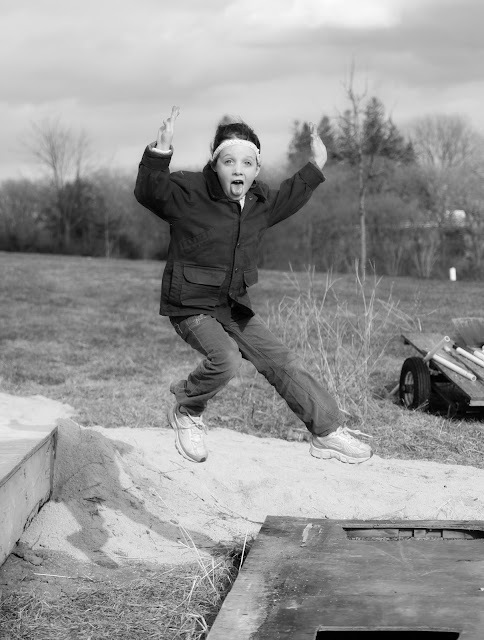 Action photos are not ideal for black & white, but the kids didn't wait for me to switch my camera settings....jerks.